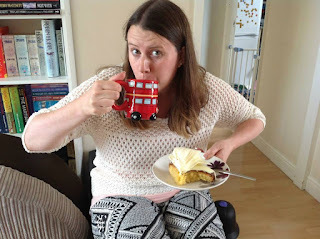 This week I am delighted to have a slice a cake with fellow author Jacqueline Simonds. 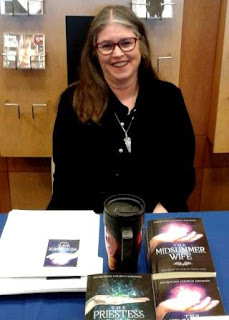 Jacqueline is an author and publishing consultant living in Reno, Nevada. She loves (in no particular order) books, writing, reading, beagles, coffee, good bourbon, publishing, and politics. 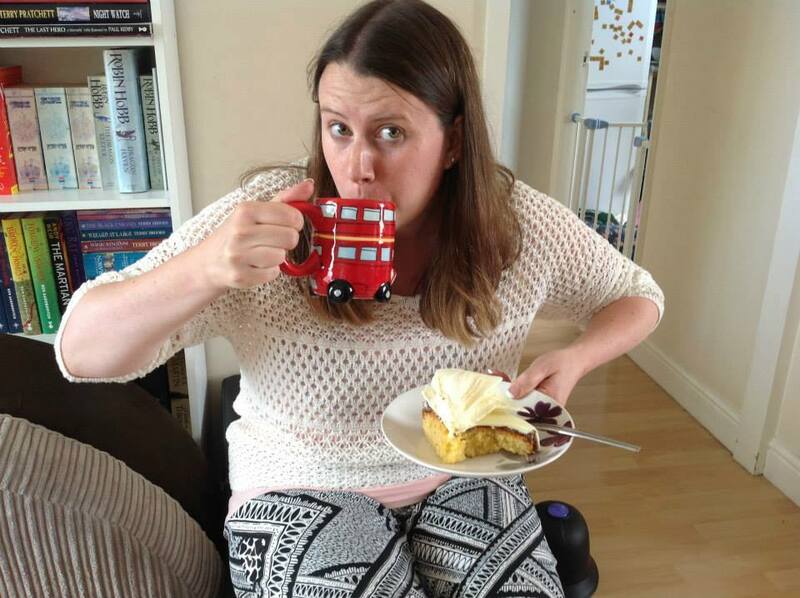 I write about strong, but challenged, women in circumstances that are slightly off from our usual reality. The current series blends Arthurian legends with Goddessian faith and an apocalyptic future. As the series evolves, the characters discover that not everything they thought was real is necessarily true. When I was a small girl living in Phoenix, Arizona, I used to climb up into the orange tree in the backyard and daydream the day away. I was a princess, a pirate, a warrior, an adventurer... and I would live in my stories. Writing was a natural offshoot from that. But it took me a long, long time to give myself permission to call myself a writer, to record my thoughts and stories. The current series—which I had only intended to write one book—emerged after a fairly serious illness laid me low, and I realized I had not tried to write in almost 10 years. And I found I wanted to very much. Consider, thou, the tall, tasseled river grass that grows in the marshland. Wind rushes down from the mountains, bending the stalks. Gusts roar in from the sea, fluttering and shaking the leaves. Storms rumble through from the uplands, swirling the seedheads this way and that. Yet, rather than stiffen and bear-up against this assault, the grass takes this as an invitation to dance. Her tendrils fly this way and that, her stalk weaves a complex movement, like a woman, hips swaying, moving to the beat. Great storms sweep in from the ocean or the highlands, sometimes even beating down the grass so that it looks to be laid low. But, observe! When the sun comes out, the grass rises tall again, stalk straight, leaves up-reaching to the Light. It is unbowed by passing weather. It knows the calm time will come again. 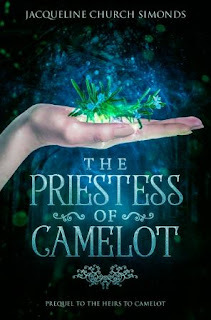 I am currently involved in The Heirs to Camelot series, which is being published by Vagabondage Press/Strange Fictions Press. 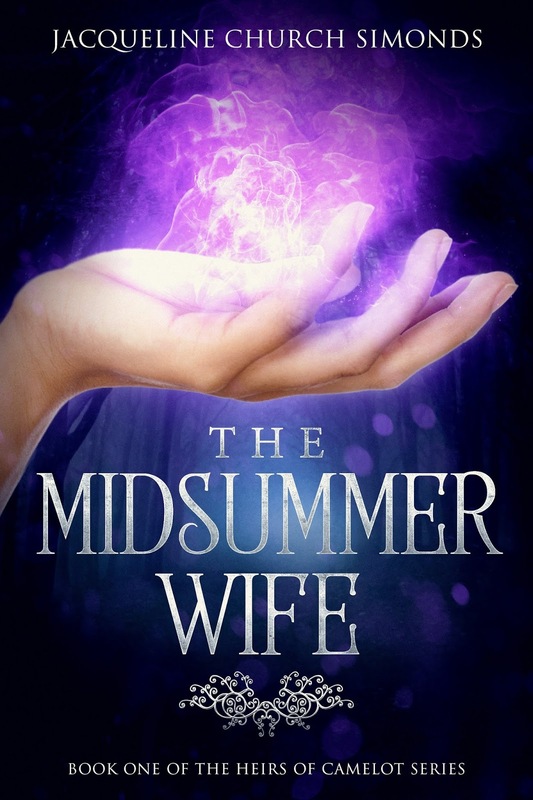 Book 1, The Midsummer Wife, was launched on Midsummer Day 2018. 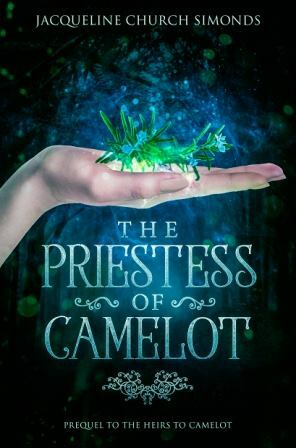 The prequel, The Priestess of Camelot was launched at the end of September. Book 2, The Solstice Bride, I just sent off to the editor. It should be out about late March 2019. The final book, which I am editing at the moment, is Mistress of the Rose Moon, which should come out on Midsummer Day 2019. 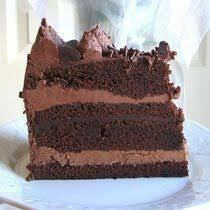 Chocolate Espresso Fudge Cake. The recipe can be found in Marcel Desaulniers’ Death by Chocolate cookbook. This layer cake is light, but depthy, presenting the happy consumer with differing notes of chocolate with every bite. Wow - sounds delicious! For those baking along, here is the recipe. You can connect with Jacqueline on Twitter @jcsimonds and on her Facebook author page. Join me next week when I will be having a slice of cake with Bill McCormick.